Aoko Nakamori (中森 青子 Nakamori Aoko) is a character in the manga and anime franchise Magic Kaito, as well as the manga and anime franchise Detective Conan. She is the childhood friend and the romantic interest of Kaito. Ginzo Nakamori (中森 銀三 Nakamori Ginzō), known in the Funimation dub as Mace Fuller, is a character in the manga franchise Magic Kaito, as well as the manga and anime franchise Detective Conan. Nakamori is an inspector for the Tokyo district. He currently spends time on fraud cases, but spends most of his time and energy on the squad that is hell-bent on capturing Kaitou Kid. 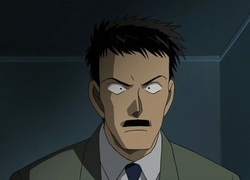 Nakamori has been dealing with Kaitou Kid ever since he first joined the police force, not knowing that he has been dealing with the original Kaitou Kid, Toichi Kuroba, and the new Kaitou Kid, Toichi's son Kaito, and that Kuroba is close friends, and somewhat romantic interest, of his daughter Aoko. Nakamori used to be a homicide police inspector, but gave that up to focus his time more on Kid. Konosuke Jii (寺井 黄之助 Jii Kōnosuke) is a character in the manga franchise Magic Kaito, as well as the manga and anime franchise Detective Conan. Jii worked as the famous magician Toichi Kuroba's assistant. He also knew of Toichi's alter ego as the Kaitou Kid, and presumably assisted him in his heists. According to Jii, Toichi made him swear never to tell his son Kaito about his father's secret identity. Because Kaito did not immediately recognize Jii, it seems that he may not have been close to the entire Kuroba family, or perhaps Toichi wanted to protect Kaito from his Kaitou Kid identity, and thus kept him away from Jii. Toichi Kuroba (黒羽 盗一 Kuroba Tōichi) is Kaito Kuroba's father, a world-renowned magician, and the original Kaitou Kid. Chikage Kuroba (黒羽 千影 Kuroba Chikage) is a character in the anime and manga franchise Magic Kaito. Not much is known about Chikage yet as her appearances in Magic Kaito have been limited. However, in the manga she is aware of Toichi's secret life as Kaitou Kid and that her son, Kaito, discovered Toichi's secret for himself. 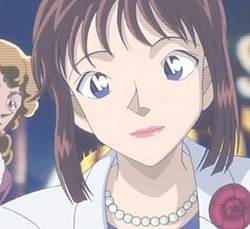 In the TV special she was away in Las Vegas at the time and in a video message to her son said that she knew he'd probably "be very busy very soon", implying that she knew about Toichi's secret room, his identity, and that Kaito would likely become Kid. Akako Koizumi (小泉 紅子 Koizumi Akako) is a character in the manga franchise Magic Kaito, as well as the manga and anime franchise Detective Conan. Akako is a witch that practices black magic, including a spell which makes all men adore and love her, except for Kaito Kuroba, who she knows is Kaitou Kid (yet he constantly denies it). Hence, she wants to have Kaitou Kid fall for her naturally, but never succeeds in doing so. Even though she has slightly evil intentions, she does care for Kaito in a way that could possibly be more than just to make him fall for her, as she's often tried to help him in her own little ways. Akako claims to have the spirit of Lucifer, and if she cries, she will lose her powers. Saguru Hakuba (白馬 探 Hakuba Saguru) is a character in the manga and anime franchise Magic Kaito, who has made multiple appearances in the manga and anime franchise Detective Conan. Hakuba is another teenage detective, just like Shinichi Kudo and Heiji Hattori. 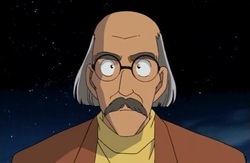 However, he does a lot of his work in England, as well as Japan, and claims to have handled more cases than Heiji. 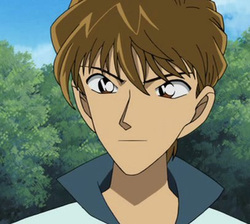 In the Magic Kaito manga franchise, his main goal is to capture the master thief, Kaitou Kid but in the Magic Kaito anime franchise, Hakuba's main goal is to capture the assassin, Spider and using Kaitou Kid as a bait. 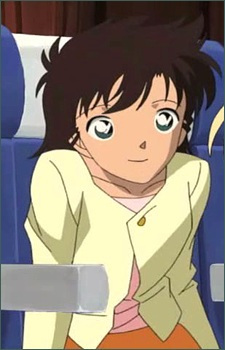 Keiko Momoi (桃井 恵子 Momoi Keiko) is a character in the manga and anime franchise Magic Kaito, as well as the manga and anime franchise Detective Conan. 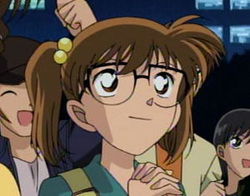 She attends Ekoda High along with Aoko, Kaito, Akako Koizumi and Saguru Hakuba.